Tim and I will be celebrating twenty-five years of marriage this summer. Twenty-five years? Am I old enough to have been married that long? (Well I was 10 when we married…) I question how life passed so quickly? More importantly I question where are we going to go to celebrate? You think I’m being petty, but this is a big deal because when it comes to vacation getaways, Tim and I could not be more different. 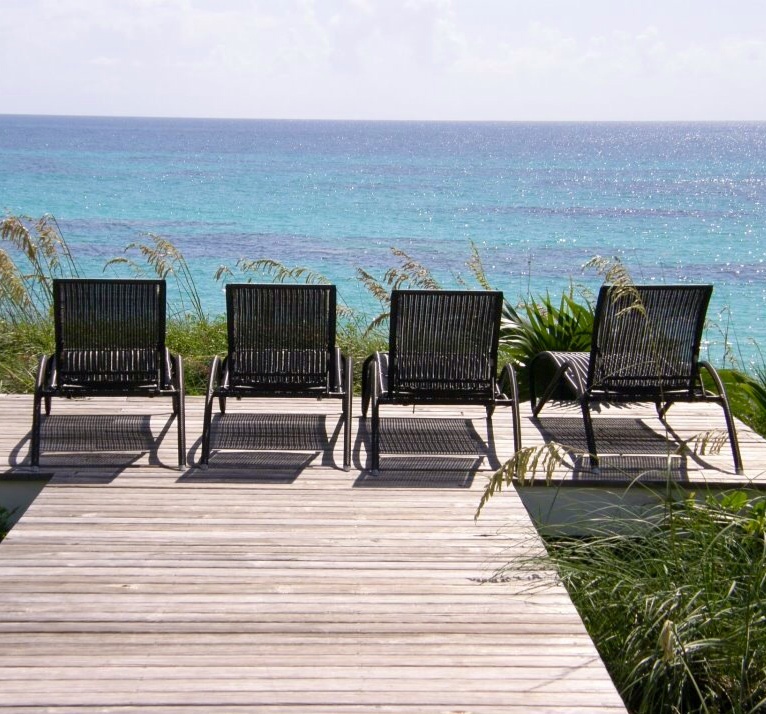 Funny story, one of my favorite vacations was when Tim and I went to a resort in Cancun, Mexico just the two of us. I loved it so much because we did nothing but enjoy the pool, the ocean and Mexican food (again, heaven!) How did I get Tim to go for this? Well, he had his appendix out on Saturday and we left for Cancun that next Thursday. Yep, he was not allowed to do anything but rest, relax and recover. Does this make me a bad person that I enjoyed the trip so much? I’m going to say no… I just made the best of a bad situation. Right?!?!? So you see there is a dilemma… there is also a budget. Combine the two and you’ll understand why we have no idea where we are going…yet. But you see I’m an optimist and I truly believe we will find a solution to this problem. Who knows, maybe we’ll find a beach with a zip-line over it!! He’s A Lot Like Me… Bless Him! 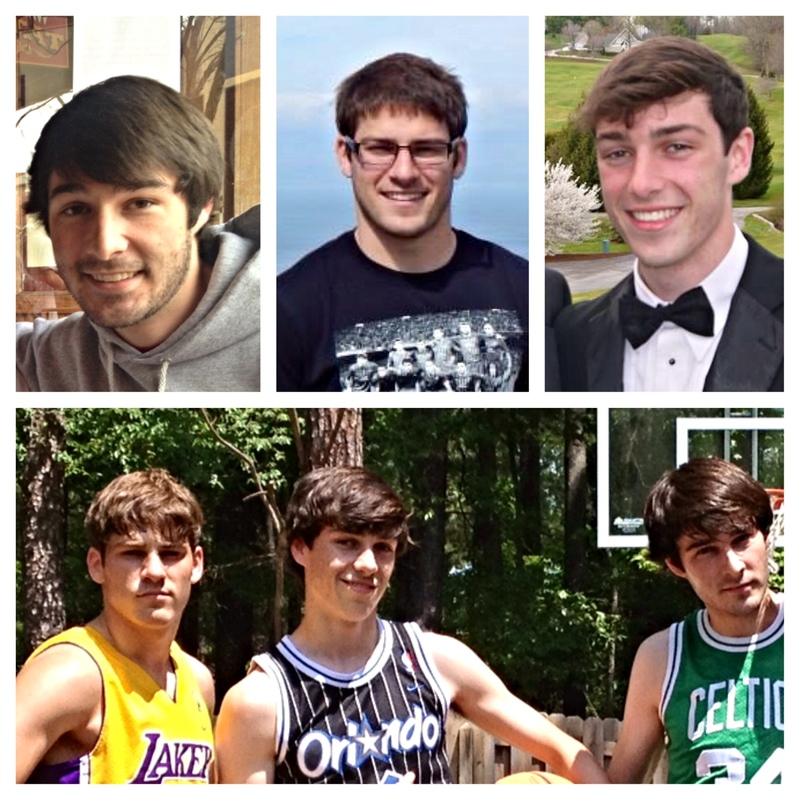 As my children grow older, I see more and more of myself and Tim in them every day. 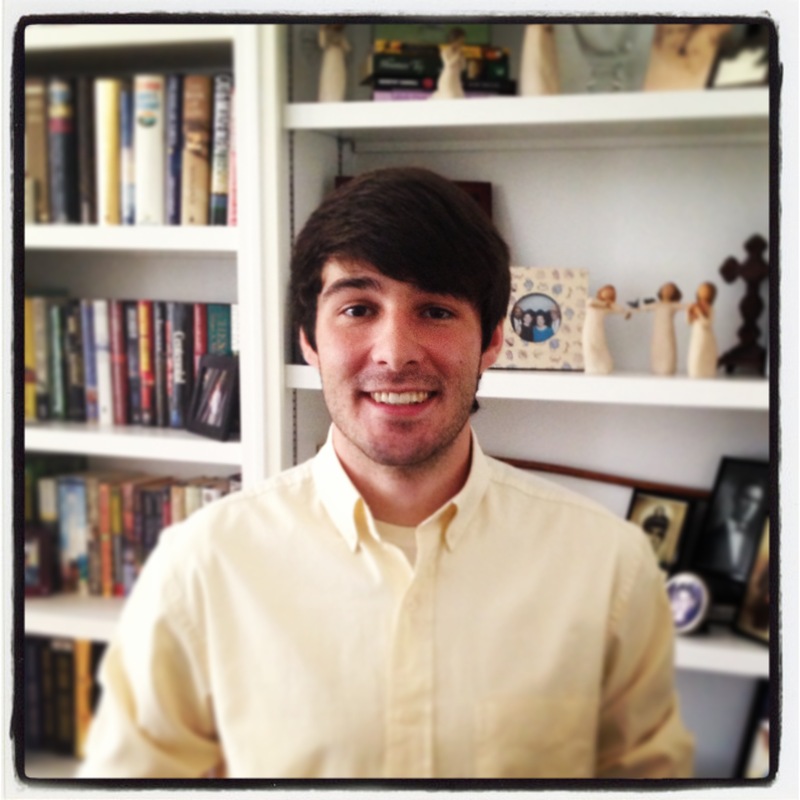 My oldest son, Will, is very much like me… poor thing! We share a love for reading, are consummate rule followers and when we are invested in something, we give no less 110%. We’ve discussed that I have a problem, a serious BOOK problem. Well, apparently it is worse than we thought. I realized last Wednesday that I bought a book that was already on my bookshelf. No big deal you say? Well if I told you how many times this has happened in just the last year, you would agree with me that I do indeed have a BIG PROBLEM. So I’ve decided how to punish myself…. I mean solve this problem. For the next 365 days I’m imposing a Book Buying Ban on myself. I am not allowed to purchase a single book. Nope, not a one unless I read every book in my house first. What you think that sounds easy? Sure for most people but you have to remember I have a wall of bookcases in my living room and it is FILLED with books that I have not read. Plus there may or may not be another rather large bookcase in the bonus room that is half full of books that are unread by me. Ooops!! I’m going to allow myself to get books as gifts (generous of me don’t you think??) but I’m even going to put a hiatus on library books (lots of books to read!!) It’s a little bit scary because the book of the century may come out any day now and I’ll be dying to read it but this is my final decision, no purchasing books even if they are on sale or used. YIKES! This may be difficult but I can always add to my “books to buy” list and go on a HUGE buying spree next November… please tell me books go on sale for black Friday?!?!?!? I’ve read plenty of books that referenced P&P but yet never read it. Truth be told, I tend to not read old books unless someone enthusiastically recommends them. 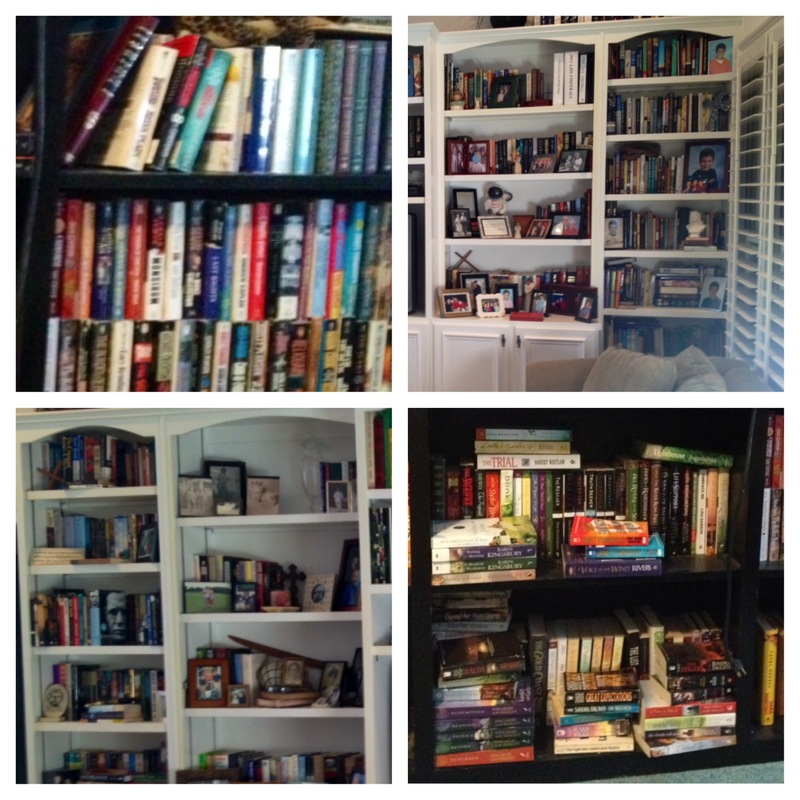 Well that changed this summer when I was once again trying to reorganize my over full bookcases. I pulled P&P off the shelf and was laying it aside when my son walked through and said, “Oh, that’s a great book! I bet you loved it mom.” Ummmmm, I then had to admit I’d never read it. He was shocked and said he was even a bit disappointed in me. Well, we can’t have that now can we? The start was a little rocky because of the manner of writing in Miss Austen’s time. The structure of the sentences were not only different but long and wordy. I found myself rereading portions multiple times so that I could figure out what was really being said. That didn’t last long however, since I was quickly pulled into the story and dragged along as Elizabeth Benet journeys through life. I have to say I totally identified with her quick wit and unfiltered speech. Often I read books and it is TORTURE! I want to scream, “Just say what you really think!” Dancing around what you really mean has never resonated with me because I say what I think most of the time. Now don’t get me wrong, I’m not rude or ugly about it, but at the same time I see no reason not to be honest and upfront. We’ve covered the fact that I am a voracious reader before in this post https://wenreeve.wordpress.com/2013/10/08/true-confession/ and while I am a fan of many I’ve never really been a “groupie” of any author but when I heard that Mr. Conroy was going to be in Nashville speaking and signing his new book “Death of the Great Santini” I knew I would move heaven and earth to be there! My Ansley introduced me to Mr. Conroy when we first met in 2006. You should know that hands down he is her FAVORITE author of all time and has been since she was in her teens. At her recommendation, my first book by Mr. Conroy was “The Water is Wide” and I knew right away that it was love. Mr. Conroy writes in a way no one else even comes close to in my mind. He takes me so deep into the story that I find myself taking on the feelings and struggles of the characters in the book and literally become so wrapped up in them that I struggle to walk away. There is no way I can read his books back to back because I get so involved that I border on morose and know for sure my family would never put up with me like that! If you have never read Mr. Conroy, shame on you. He is a prolific southern gentleman, scholar and writer of prose who pulls from deeply personal struggles in every book. His gift is such that I feel intimately acquainted with each and every character in his books. In my mind I have walked where they walked, ate what they ate and lived their life with them. Amazingly, not only was Mr. Conroy going to be interviewed about his new book (by Ann Patchett no less- WHAT?!?!) but he was going to sign books afterward. Y’all, I would have been fine just to hear the interview. He. Was. Amazing. Like Ann Patchett said in the interview, “Pat, you write in such a way that we fall in love with a man you hated simply because of your compassion.” Mr. Conroy had us alternately laughing and crying over and over all in the space of an hour. He is bright, funny, charming and lights up when he talks about his family and his books. Then he went into the lobby of the auditorium and singed books for anyone who wanted one for over two hours (I say over two hours because that’s how long we waited and there were more after us!!) When it was your turn, he not only introduced himself to you personally, he looked you in the eye and shook your hand as if you were the only person in the room!!! Then he quietly talked with you while he signed your books. OH MY GOODNESS!!! It was a night I will always remember and he is a man I will never forget. Mr. Conroy, thank you for being exactly what your mother wanted you to be, a quintessential southern gentleman through and through. 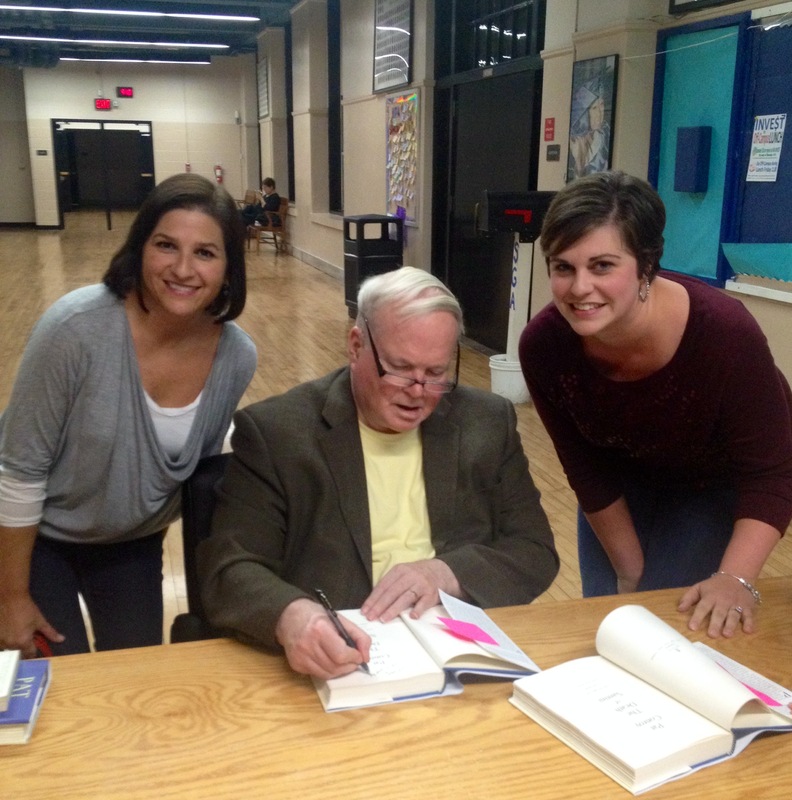 Ans and I saw Pat Conroy last night in Nashville. 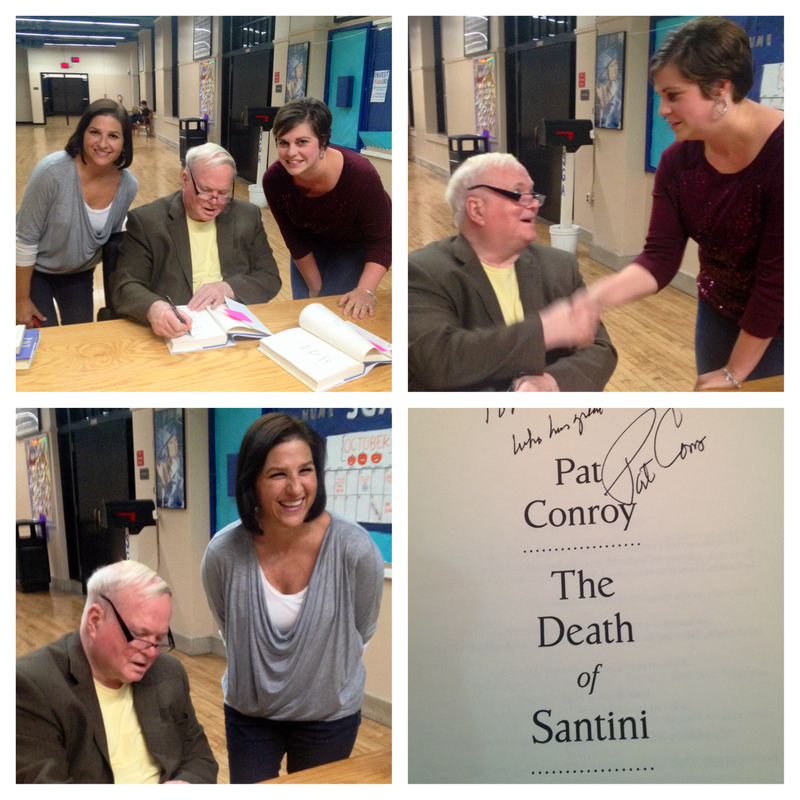 PAT CONROY!!!! 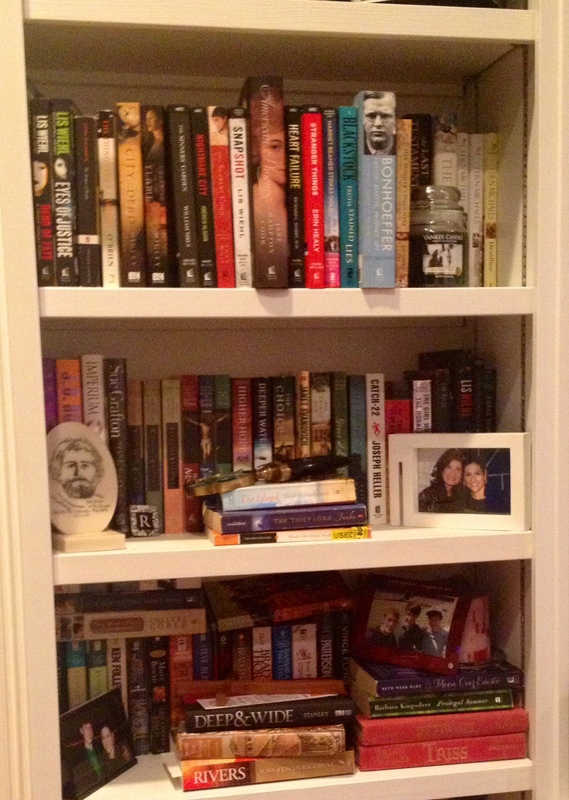 My name is Wendy and I am a reader. I feel like I’m confessing an addiction and maybe it is of sorts. I know you’re thinking, what?!?!? How can one be addicted to reading? Well, let me explain. It all started as a little girl. My parents are both avid readers, so I grew up with it being something you normally did- on vacation, at night after dinner, before going to bed. I read anything I could get my hands on from the back of cereal boxes to random magazines laying around to old newspapers to the back of products. Silly me, I though everyone was this way. I especially loved vacation. Our vacation time was spent camping/fishing in the North Georgia Mountains and before we left town, we’d always stop by the library to check out some new books to take with us. First criteria for a book? THICK! Yes, my nine year old self wanted to find the thickest books possible because you could only check out eight books at a time. I know, only eight books for a week in the mountains?!?! Crazy huh?? So of course they had to be thick books and thick books can be hard to find. Needless to say I developed a love for all genres of literature. From historical to contemporary, chick lit to best sellers, Christian to mystery books. The realization that I was abnormal didn’t happen until after I married. My husband and his family read but not like my family. They might read an article in a magazine or a “must read” book but they were rather tame with their reading. I’m sure they thought my hubby had lost his mind when they realized the extent of my “problem.” Let me put it this way, when my oldest son was in kindergarten, the kids went around the room discussing what their parents did for a living. Since his teacher was our friend, she relayed what Will told the whole class, “My mother reads.” My sweet firstborn thought that’s what I did….for a living!! (Oh if only it were true!!) I tried to explain to him that I did plenty of other things like house cleaning, laundry, cooking…. but I knew with certainty by the look on his face, he didn’t believe a word I was saying. Even at five they know what you really love to do.